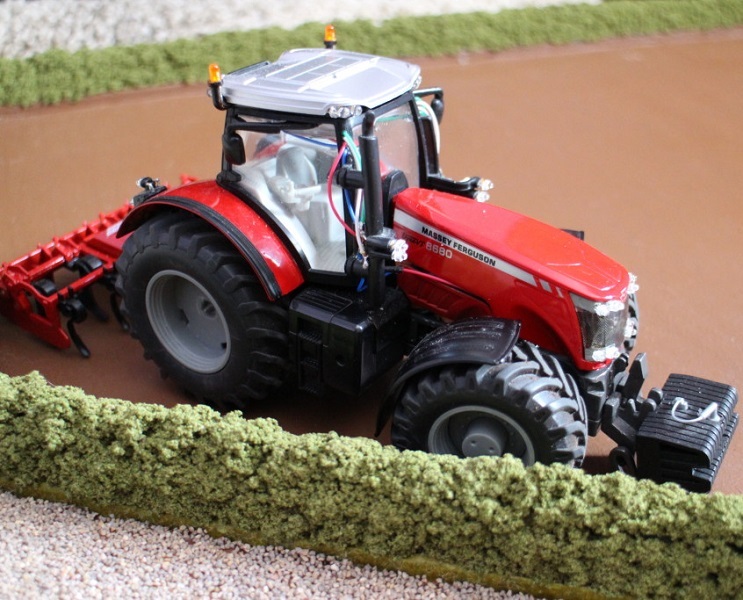 The first model I tried to convert to radio control back in 2011 was a Siku Massey 8680 model which I chose because it was the only detailed tractorÂ model in the Toy shop closest to theÂ house I was staying in. While it was successful, it was also quite difficult and I learned a lot from these early attempts. This section willÂ list all my RC Tractor builds in order of when I started building them. All the info I have available or remember to upload will be there so that you can learn from my mistakes. You will find all the info about my first build which I started in 2011 and have only got working acceptably inÂ 2015. The local toy shop improved theirÂ stock by adding a Fendt 936 to the shelves which I soon purchased. At the time I was frustrated with the Massey build problemsÂ and taught a fresh start would help and it did. The John Deere 9560R is the model I advise everyone to start with, as soon as I took it out of the box I was amazed by how much more space there wasÂ inÂ this model compared to the Massey and Fendt. 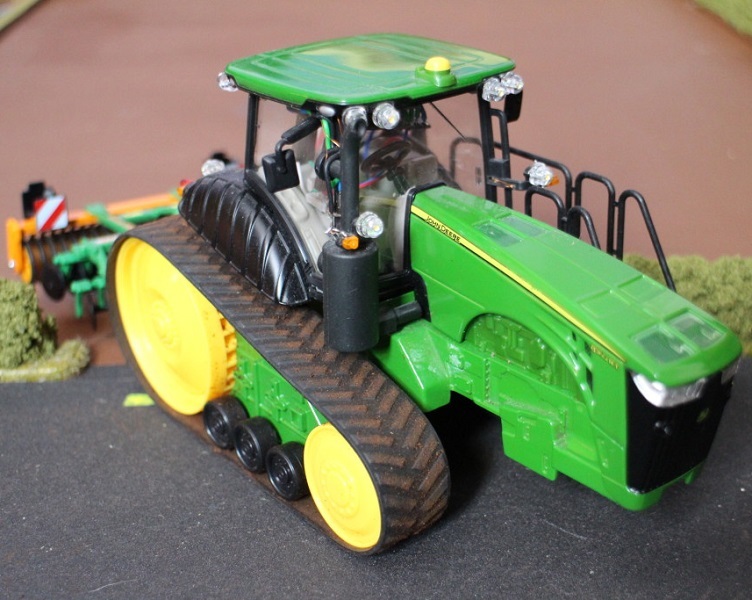 The John Deere 8360RT was a giftÂ and proved quite a challenge to convert to RC but it has turned out to be the most powerful tractor in my fleet. All the models I had purchased up to this point were rather large vehicles that you are unlikely to see in the area I come from so I decided I’d buy a Ford 7810 which is more believable. It is much smaller than the other models which means it’s more difficult to convert. After watching the Grassmen video Two Legends and a Donkey I had to have an RC Ford TW35. If it’s not blue it wont do!! Pity I can’t add the iconic plume of black smoke. After receiving a 1:24 scale RC car with full 4 wheel drive system in the mailbag I decided to buy a Claas Xerion 5000 and try to squeeze the 4×4 drive train into the tractor. One of two second hand Siku Control 32 tractors I bought with the intention of swapping the Siku electronics for my own Arduino based system. This small model was the trickier conversion. A second hand Siku Control 32 model which I decided to convert to use my RC system. I taught a control 32 model would be an easy conversion as the mechanics was already finished. More info on our old site. We are in the process of transferring information from our old site www.rctractors.net to this new and improved site. If you haven’t found what you’re looking for then click here to visit the RC Tractor buildsÂ section on theÂ old site.